Until recently the nonprofit pioneers of the Social Web had to mostly rely on their intuition that their social media campaigns were resulting in more dollars raised online, an increase in brand and cause awareness, and higher rates of volunteer recruitment and retention. However, as LinkedIn, Blogger and Myspace all celebrate their 10-year anniversary this year, nonprofits have now had a decade to study and experiment with social media and create systems for successfully launching and tracking the value of their social media campaigns. Without a doubt the benefits of using social media successfully are starting to pay off and there are numerous recent reports and studies prove it. That said, congrats to the early adopters! After spending all these years investing time and resources into building and engaging your online communities before there was proof that your time and resources were well spent, your nonprofit is now in the best position to reap the benefits of a powerful, action-oriented Social Web. Your instincts have served you well. 1. 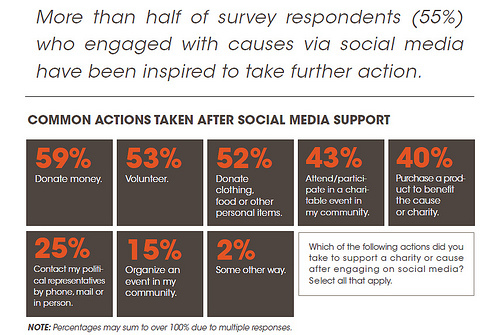 41% of nonprofits attribute their social media success to having developed a detailed social media strategy. 2. 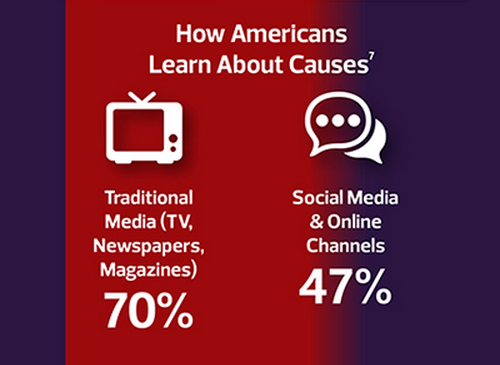 47% of Americans learn about causes via social media and online channels. 3. 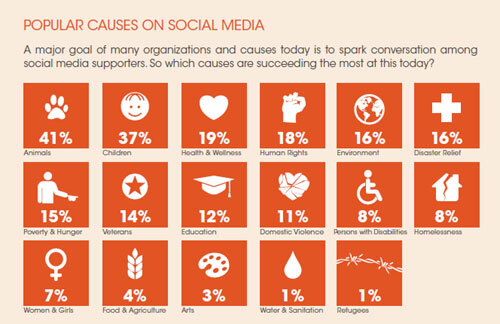 Animals, children, and health & wellness are the most shared and talked about causes on social media. 4. 56% of those that support nonprofits on the Social Web confirm that compelling storytelling is what motivates them to take action on behalf of nonprofits. 6. 57% of Facebook Fans “Like” a charity on Facebook because they want to publicly display their support of the nonprofit to their friends. 8. 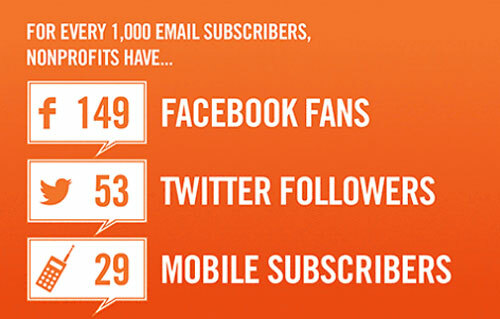 For every 1,000 e-newsletter subscriber, nonprofits have 149 Facebook Fans. 9. 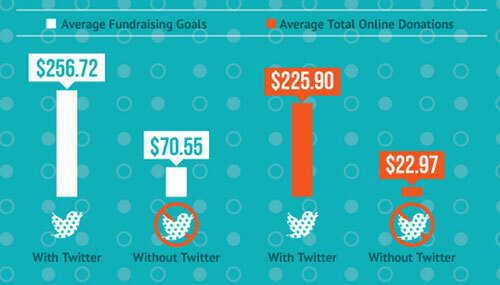 The number of followers nonprofits have on Twitter grew by 264% s in 2012. 10. 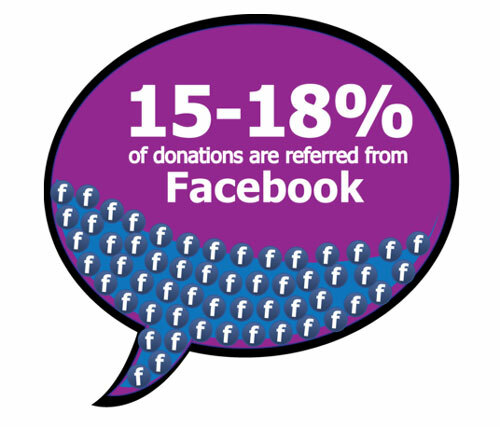 In an average peer-to-peer fundraising campaign, 15-18% of donations are referred directly from Facebook. 11. 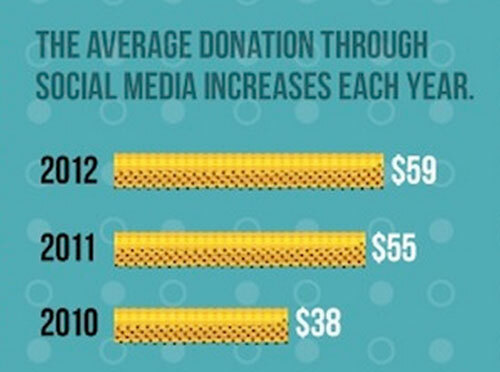 The average social media donation is $59 and growing each year. Really useful stats. Will use to persuade clients they absolutely MUST be where their constituents are. 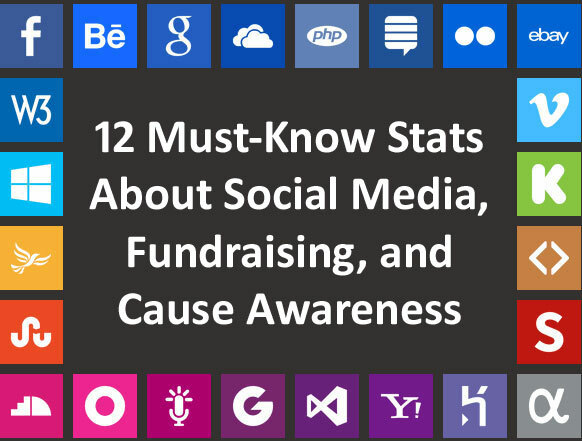 There are still way too many nonprofits who think social media is a fad, or just something ancillary and not central to their marketing and fundraising. That train has left the station! Thanks for the proof. Another golden post by Heather Mansfield, SMSG. You can download the reports associated with each stats to dig deeper into the demographics.